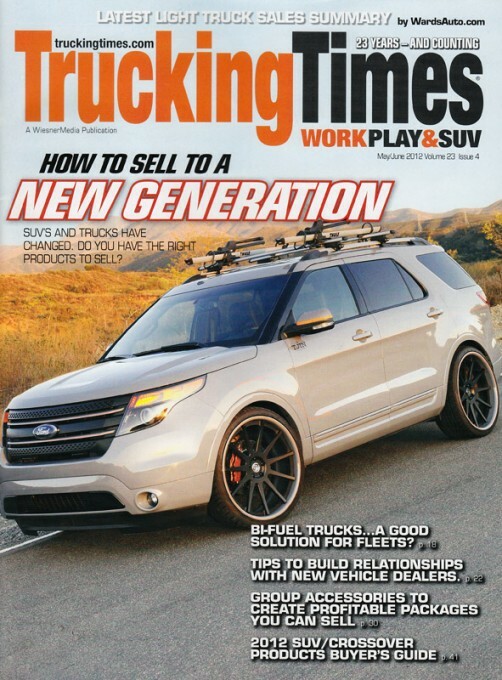 I shot this 2012 Ford Explorer built by Neil Tjin for Trucking Times, a quarterly business-to-business magazine. They used one of the photos for the cover, and I think it came out fantastic. This isn’t the first time I’ve photographed a Tjin-built vehicle. 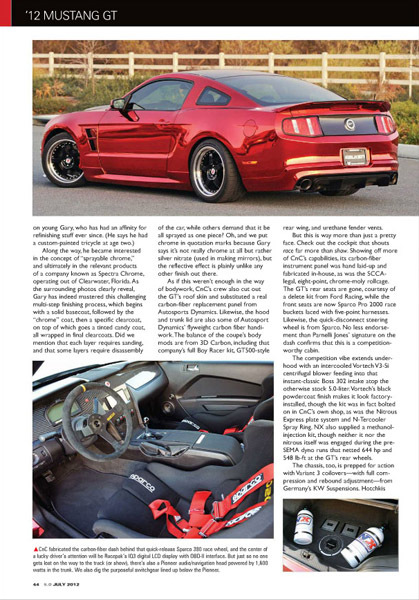 I also shot his Ford Mustang for 5.0 Mustang & Super Fords and his brother’s Camaro for Chevy High Performance. I normally don’t like doing photoshoots during the middle of the day, but I think this particular one came out very well. 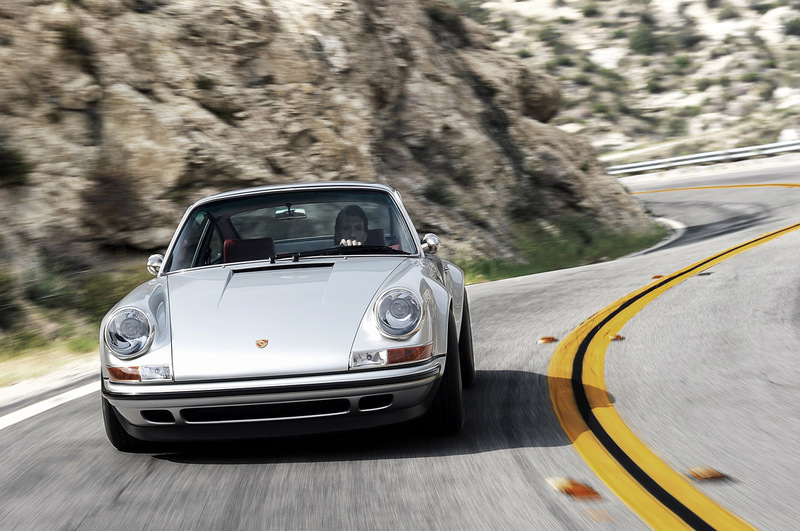 This is Singer Vehicle Design’s fourth car built including the prototype, and I’ve been fortunate enough to photograph all of them. This one is a little understated for me, but beautiful nonetheless. 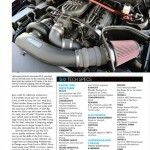 You can see all of the photos over at Autoblog.com. This past weekend I headed up to Monterey for the American Le Mans Series race at Mazda Raceway Laguna Seca. 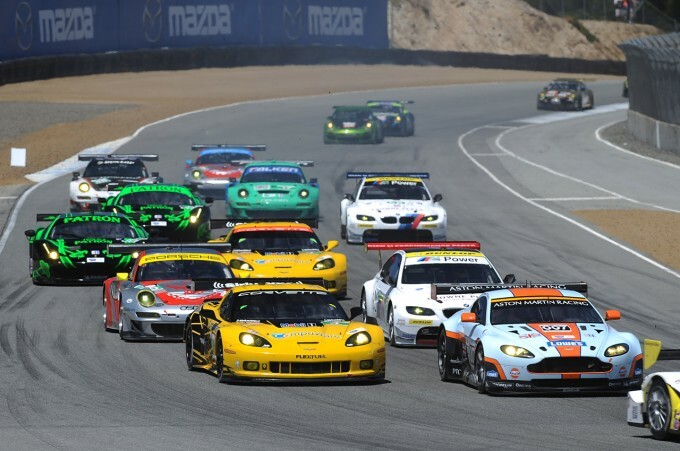 It’s been a few years since I’ve been to an ALMS race, and was a little disappointing to see the big prototype teams like Audi absent from the grid, but a very competitive GT class made up for it. 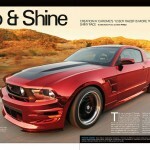 You can see the full set of photos over at Autoblog.com. Of all the cars I photograph there are only a few that I’d realistically like to own. 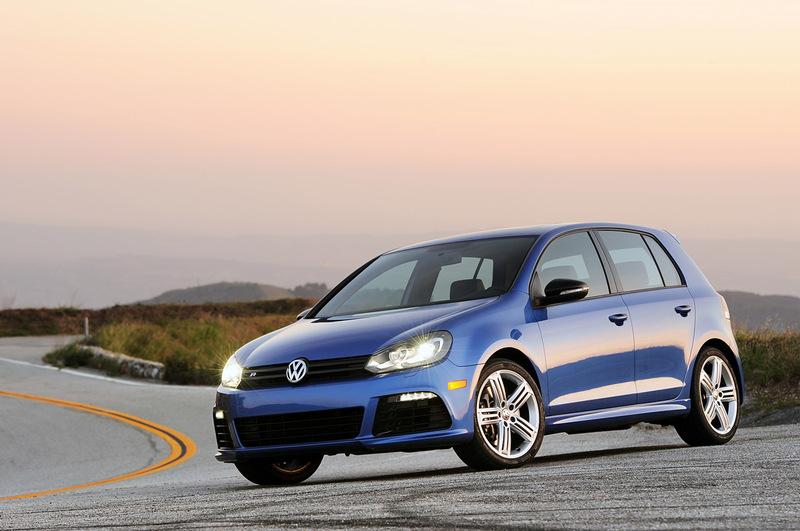 The 2012 Volkswagen Golf R is one of those cars. It’s may not be the fastest or the best handling car out there, but it’s the perfect blend of sportiness, comfort and practicality. It’s too bad it’s $35k. You can see the entire set of photos over at Autoblog.com. 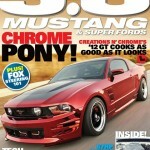 The July 2012 issue of 5.0 Mustang & Super Fords was released yesterday with my photography of Creations n’ Chrome’s Boy Racer Mustang on the cover. 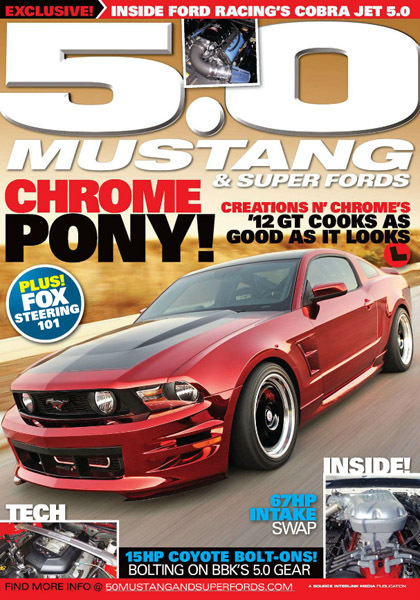 It’s one of the coolest Mustangs I’ve seen and was more than worthy of a cover, but it was also one of the hardest to photograph thanks to its chrome paint. It reflected literally everything! 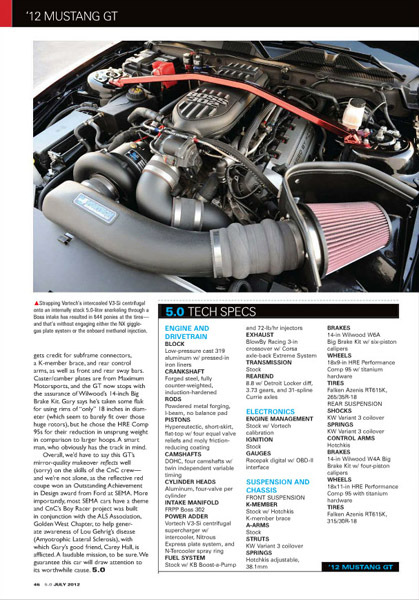 You’d think the car is just for show, but owner Gary Watson plans on putting the car through its paces. 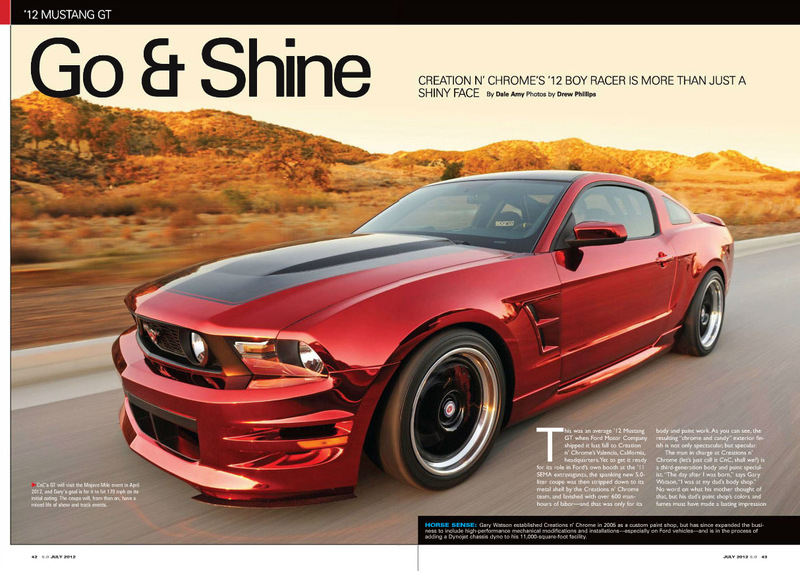 Just this last weekend he broke 180 mph in the Mojave Mile! You can see screenshots of the cover and the rest of the article below.